At Colorado Laser Spa, we use lasers to treat many undesirable skin conditions. Our advanced laser aesthetics spa employs the state-of-the-art Icon™ Aesthetic System by Cynosure to provide a comprehensive menu of intense pulsed light (IPL) beauty therapies including photofacials and photorejuvenation. Our MiXto Fractional CO2 Laser uses heat to resurface your skin for a smoother texture and appearance. As the Gunnison Valley’s only advanced aesthetics medical spa, these revolutionary technologies allow you to stop concealing bothersome skin imperfections and regain the clear, youthful skin you desire. Our Cynosure Icon™ IPL treatments are a nonsurgical approach to skin resurfacing and renewal with minimal downtime. Using optimized-light photorejuvenation, you can quickly and easily lighten and/or eliminate undesirable pigment, spider veins, acne scars, and rosacea. We can even reduce the effects of sun damage such as sun spots, wrinkles, and fine lines. With our advanced laser aesthetics and anti-aging treatments, you can achieve clear skin and a more youthful appearance. Using IPL, we treat a multitude of unsightly skin conditions and remove the signs of aging to turn back the clock for you. 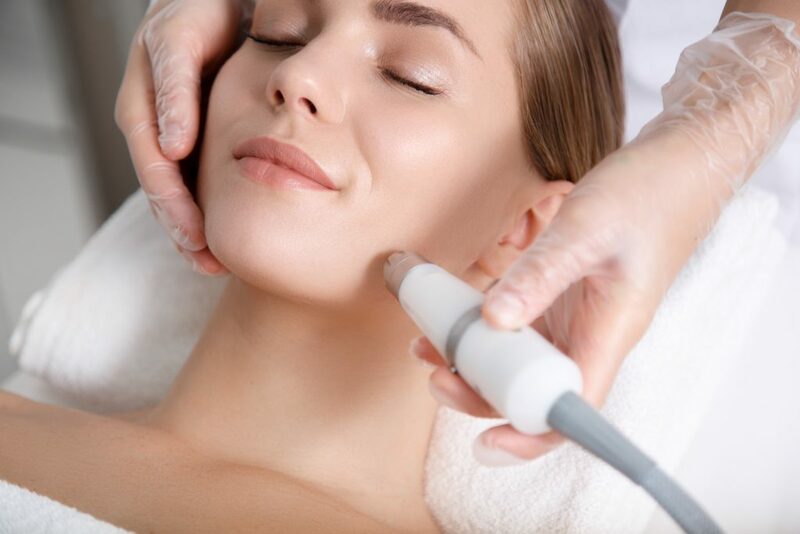 By applying controlled, intense pulsed light, we create microscopic wounds to the skin without damaging surrounding tissues with little to no discomfort. By making these small wounds, the IPL induces the body to create new skin cells to heal itself, revealing smoother, tighter, younger-looking skin. With IPL photofacial laser treatments at Colorado Laser Spa, you can immediately return to your normal activities without downtime. Your skin will look and feel better, contributing to your overall health and total wellness. Like photorejuvenation, CO2 laser resurfacing permits our trained staff to selectively replace damaged and aging skin with new skin cells that are firmer, clearer, and more youthful. Dr. Niccoli has chosen the cutting-edge MiXto SX Fractional Laser for patients who wish to experience the revitalizing effects of laser resurfacing treatments. As our skin ages, it appears to become more thin. Our connective tissue changes and reduces our skin’s strength and elasticity. The MiXto Fractional CO2 Laser sends a scattered light energy that vaporizes old skin tissue. The top layers of the skin are instantly removed and cells around the treated area begin the healing process, inducing cell regeneration. This leads to an immediate tightening of the skin, improving its texture and appearance. What you get is a smoother, clearer, more youthful look. Our patients have seen immediate, dramatically visible improvements in their skin issues with MiXto CO2 Fractional Skin Rejuvenation where there were previously few options for even minimal improvement. We treat skin on your face, neck, chest, arms, and hands. These 30-60 minute skin-firming treatments are a safe, effective skin therapy with minimal downtime approved by the FDA. Laser resurfacing is a powerful tool for treating a variety of skin conditions including the signs of aging. At Colorado Laser Spa, we use the MiXto CO2 Fractional Laser to resurface your skin for a smoother, healthy, beautiful appearance. Dr. Niccoli selected this laser for several reasons. First, it is the gold standard in skin-firming technology. With this laser, we can achieve the highest level of treatment for wrinkles, loose skin, and other conditions. The MiXto CO2 laser is also a fractional laser. That means rather than using a targeted beam to achieve results, it scatters light energy to minimize heat build-up in the skin. This allows us to use higher energy levels to achieve the best results possible. Finally, the “micro” fractional nature of the laser means we can deliver small yet highly intensified beams of energy to induce healing of the skin. This means less pain, little to no downtime, and the greatest results for you. One of the most obvious benefits is that the use of this laser is that treatment is fast. Each treatment typically takes just 30 minutes to an hour. There is also very little, if any, downtime when compared to other laser resurfacing treatments. Results are also immediate. You will see tightening of the skin, shrinkage of damaged skin, and a reduction in scarring right away. You’ll also notice an improvement to the texture, pigment, and pore size in treated areas. Age spots, wrinkles, and fine lines are quickly diminished. Treatments also keep working for up to a year by promoting collagen production. During treatment, we use a localized topical anesthetic to minimize your discomfort. You may experience a warm, prickly sensation and even mild discomfort during the laser treatment. Following your treatment, the area is cooled and you are discharged after we ensure you are comfortable. A small amount of medication can be prescribed to address any residual pain. Anyone can be safely and effectively treated with this type of laser including patients with darker complexions. It is ideal for those seeking treatment for acne scarring, deep pigmentation that is unresponsive to topical agents and peels, and those hoping to achieve a more youthful appearance. Our technicians will schedule an initial consultation to discuss your goals and budget to determine if this treatment is right for you. Though laser resurfacing is a nonsurgical procedure, there are some risks involved. Since only about 20 percent of the skin is “ablated,” the risk of scarring and loss of pigmentation are minimal. Antibiotics and anti-viral medication can reduce the risk of infection to the treated areas. The risks associated with this treatment will be reviewed during your initial consultation with Dr. Niccoli. The cost will vary depending on what areas you are treating and how many treatments are required. The cost will be reviewed at the time of your initial consultation.